Family owned and operated since 1976. We offer a wide variety of food including pizza, wings, subs, wraps, dinners and much more. 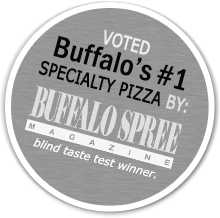 All our menu items are made with the highest quality ingredients. We at La Pizza Club take great pride in preparing our food so we can continue to gain loyal customers. We are always open to suggestions. If there is something you would like, which is not on our menu, please feel free to ask. When it comes to our food, we're proud to prepare for you the very best. Our family owned restaurant continues to gain loyal customers because we are committed to serving your family the very best. Copyright © 2014-2019 La Pizza Club.